Google: Consumers Make 32 Visits to 10 Websites to Book an Airline Ticket ... People's time is worth money. Google research shows how much time it takes a consumer to book an airline ticket. It's a good example of why it makes sense to use a good travel agent. It’s Friday afternoon. You’re ready to embrace the weekend when your boss walks in and says to pack your bags, you’re heading to Houston for a last minute Monday morning meeting. You scramble to get ready, searching frantically for a flight, a rental car, a hotel, all while pulling together a presentation and making arrangements for a dog sitter. Or…you call your corporate travel agent, who already has every detail in her database, from frequent flyer numbers and credit cards to seat preferences on airlines and favorite car selections. You spend less than five minutes telling her where you need to be and when, and then you hang up and breathe a sigh of relief as you know she’ll take care of it. Sounds nice, right? But maybe you think it’s a luxury your company can’t afford. Wrong. Sure, agents charge a nominal service fee on flight bookings, but often hotels and car rentals pay the agents a commission off the sale. And agents have access to net fares, working with consolidators to get a better rate than what you could manage yourself. ne, with each fare carrying different rules and regulations such as refundable ticket, ability to choose a seat, amount of leg room, and so much more. Now what if your meeting was bringing together numerous employees from branches across the country. Everyone leaves from a different airport at a different time, but to save time and money, your company wants to book one van to pick you all up and take you to your destination. Impossible? Not hardly. It’s more like a challenge accepted. And to top it off, your agent can secure a block of rooms at a hotel plus meeting space with lunch included, all for a discounted rate for bundling services. Think of corporate travel as a jigsaw puzzle with interchangeable pieces. One day the picture falls into place one way, and then the next, everything is taken apart and you have to rearrange it in a whole new way. Flights get canceled, meetings are moved, there are countless factors that can change at any minute. There are no packages that offer flights, hotels and car rentals all tied together into a convenient trip with beautiful website pictures. Corporate travel agents deal in numbers and databases, pulling from hundreds of listings to find the perfect flight for a particular client. And then we start all over again to find the best hotel and car rental. Does your corporate office require prior approvals to bookings? No problem. It’s taken care of. Plus, once the meeting is over and everyone has turned in expense reports, I can provide my own reports to corporate, detailing which employees called in for reservations, who spent how much, and on and on. It’s not a luxury. It’s smart business. And it’s even smarter to plan ahead. You might not know when your next business trip will be, but you can get ready for it. If you don’t already have them, sign up to get frequent flyer numbers now. Same goes for the hotel and car rental points programs. Compile a list of all your numbers to make sure you never miss a chance to earn points for your travels. If you fly often, make an appointment on TSA.gov to get a TSA Precheck number to go through security faster. Or apply for Global Entry through the U.S Customs and Border Patrol to bypass security altogether. Then give me a call. The first time we talk, I’ll build your profile, starting with your name exactly how it appears on your passport and driver’s license. We never want to risk TSA denying you boarding because your name doesn't match. I’ll collect all of your details—your date of birth, address, points programs numbers, seating and meal preferences, billing information, everything. It may take a little time, but believe me, it makes a huge difference to have the information in advance. Then, when it's time to fly, tap my number in your speed dial, give me a quick overview, and leave the rest to me. It’s easy, it’s smart, and it takes the stress out of travel—leaving you plenty of free time to worry about your big presentation instead. Want to know more? 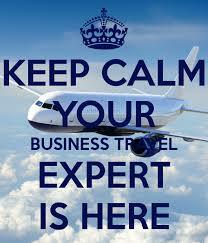 Contact Laura at laura@travelcentralvacations.com. Celebrating 30 years in business! We are dedicated to offering business travelers the highest level of convenience, ease, efficiency, and productivity. We Can Help You With All of These Platinum Card Benefits!